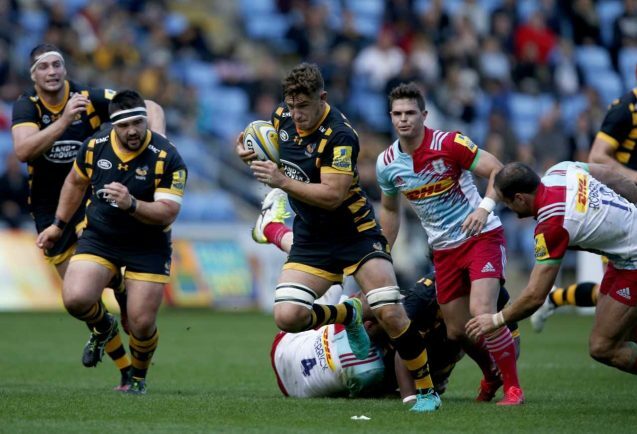 RUGBY UNION: WASPS fans will have the chance to meet some of the first-team squad next week when the club launches its 150th anniversary shirt. Tommy Taylor, Kyle Eastmond and Sam Jones will be meeting fans and signing autographs in the club shop between 4.30pm and 6.30pm on Wednesday, 23rd August, before Wasps’ pre-season clash against Connacht that same evening (7.30pm kick-off). Fans will be able to get their hands on the under armour jersey for the first time from 9am on match day. Wasps CEO Nick Eastwood is one of few to have already caught a glimpse of the new shirt. He said: “Shirt launches are one of the most eagerly-anticipated dates in every fan’s diary, none more so than this year when we celebrate our 150th anniversary. “The Under Armour kit is unique in look and style and pays homage to the club’s heritage. Club mascot Sting will be on hand throughout the day to greet supporters in the club shop while fans can put their rugby skills to the test in the interactive zone which will be open from midday.